<b>This product is also available in a upgraded model. 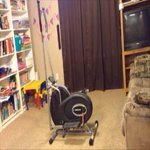 Click <a href="https://www.walmart.com/ip/55277293"><em>Exerpeutic GOLD XL9 Dual Trainer</em></a> for details.</b> <br /> <br />The Exerpeutic 260 Air Elliptical is perfect for apartments or limited areas, where space saving is a priority. 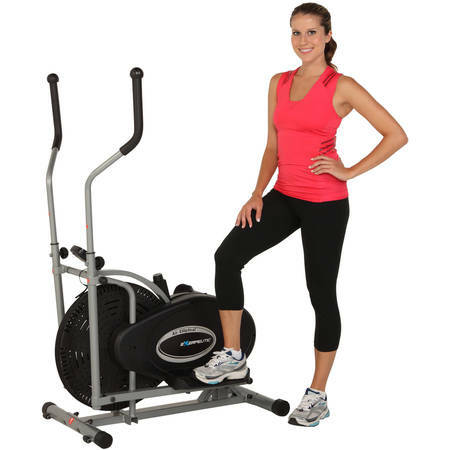 This elliptical will give you an excellent upper and lower body workout. Dual Action arms work the arms and shoulders and a solid steel flywheel makes for smooth striding for a lower body workout. The larger pedal design with ridge construction will prevent foot slippage when exercising. This product is also available in a upgraded model. 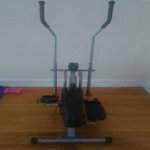 Click Exerpeutic GOLD XL9 Dual Trainer for details. 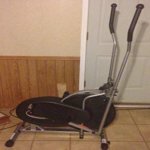 The Exerpeutic 260 Air Elliptical is perfect for apartments or limited areas, where space saving is a priority. This elliptical will give you an excellent upper and lower body workout. Dual Action arms work the arms and shoulders and a solid steel flywheel makes for smooth striding for a lower body workout. The larger pedal design with ridge construction will prevent foot slippage when exercising. proposition 65 reasons:This product can expose you to chemicals including Lead, which is known to the State of California to cause: birth defects, female reproductive harm, male reproductive harm. 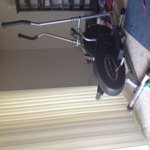 This elliptical took me about an hour to assemble and it seemed pretty easy, but I was raised with a handy man for a dad. Some complained theirs fell apart or toppeled over.. You need to tighten it and it's not for going super fast. I love this machine, within ten minutes I'm already feeling the burn and sweatin. Great price, quick delivery, and it's compact and perfect for my one bedroom apartment. Just what I needed with timer adjust the speed resistance and how many calories are being burned. It was very easy to assemble better than I thought it would be. I love it just what I need for a great workout. This was so easy to put together and does not take up a lot of space. It is easy to use and is very quiet. Great STURDY Machine for the PRICE!!!! This machine is sturdy and is a best seller for a reason. I have had it 5 months. It took my husband 30 minutes to put together. It's 55 lbs. I have a video and demo of this machine https://youtu.be/6eF-bWGmMkA I would recommend this to a friend. I almost didn't get it b/c I didn't want a cheap, shaky machine. This is not the case. Great purchase for me!